I’m looking at my HP processor, ergonomic keyboard and wireless mouse. This takes me back to the first computer I purchased. In fact, I still own that magical scientific appliance today. This PC was none other than a Packard Bell with just over 570 MB of storage capacity. This marvelous machine held a massive 8 MB of RAM expandable to an unbelievable 16 MB. The futuristic remote storage system (known as a floppy disk) allowed the user to store and transport 1.44 MB at will. What more could you possibly want? You could give this PC a command and have time to pull a drink from the refrigerator and be back to your seat before the command was fulfilled. To keep the fact that I was working to be a writer away from prying eyes, I used this computer, being as it was stored in a remote part of the house. I didn’t have WORD on this computer, so I wrote in Note Pad. The real trick to operating this piece of retro gold, was trying to transfer media from a floppy disk to a CPU that used USB ports and flash drives for storage. You know, all in all, I don’t guess it was so bad. If I think back to the days of H.G. Wells, I can’t imagine typing on an actual typewriter and doing edits and re-writes on such an archaic device. I’m sure I complained back in the day, when the Packard Bell was the computer to end all computers, simply because of the lack of processing speed, but then again, isn’t everything relative? I thought I’d take a moment to relay the circumstances which led me to become a writer. I was diagnosed with multiple sclerosis November 2006. Two months later, January 2007, the position I held as a trade show construction supervisor and warehouse manager was abolished after sixteen years. During our winter fishing trip to Cape Hatteras, North Carolina, my son suggested I give writing a shot. I began to pen my old standard, ‘short stories,’ while still employed, uncertain if I had a novel within. A story line soon emerged pulling me into the world of “Rising Tide.” With my first novel reaching completion, I decided to delve into the world of self-employment, opening a single employee (me) drafting business (CAD). It’s now the spring of 2008. I find a publisher to take on my novel which becomes a reality in the spring of 2009. My drafting business is going gangbusters. I’m having to put in 14 hours a day 6 days a week. July 2008 rolls around, and guess what . . .the economy tanks, my business nearly beating it down the toilet, and I’m up to my armpits in edits and re-writes, which ain’t necessarily a bad thing. In fact, it proves that one out of two (here’s that word again) ain’t bad. Fast forward to today. 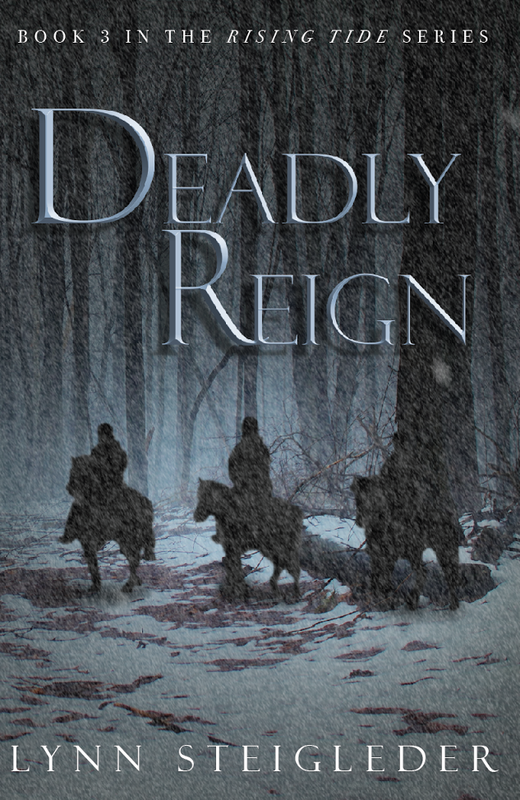 I recently released my fourth novel, “Deadly Reign.” I have two more books in the works. The next in the “Rising Tide” series and a stand-alone novel that revives a character from a previous book used in a cameo role and now as the protagonist. I’ve just scratched the surface in the world of authorism. So I certainly don’t feel qualified to offer any spectacular, over the top, fail proof words of wisdom. If I were to offer any advice, I’d simply say: Never give up, expect rejection, don’t take yourself too seriously, and most importantly, have fun. God bless! If you read my blog last week and the week before, you’ll know I’ve been hashing out a novel back and forth with my editor trying to get it to the printer. As I have mentioned, I thought we were done and the last copy I sent the publisher would be it. Now, one more thing I said, tongue in cheek, was having to read the manuscript another time. Another thought that comes to mind (one also brought forth in my last blog) is I’ve read the book probably thirty times, including last week, the week before and probably the week before that. Well, wonder of wonders, I received an email from my publisher saying the manuscript has been sent to the printer and now we have a proof. Guess what? I get to read the proof (just another name for a finished manuscript), one more time. Once I have completed this task (as long as nothing goes awry), we will actually go to print. I hope I haven’t bored you to tears with this never-ending story but I felt it was something I needed to scrap off my chest…you know, cathartic. Of course, this is determined by what the proof says. Until next week, happy trails and whip them cantankerous manuscripts into shape.